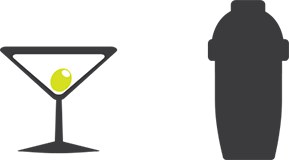 We’re very excited to announce that the latest version of KOBAS EPoS is now available. This build surely contains something for everyone, fulfilling requests from existing customers while simultaneously opening the door to new companies who wanted to use our EPoS but needed extensions to suit their business needs. Eat-in or takeaway? Or even home delivery! We now support three consumption modes. Choose between Eat-in, takeaway and delivery. All items can be assigned different tax rates allowing for zero or reduced rate VAT of eligible items. 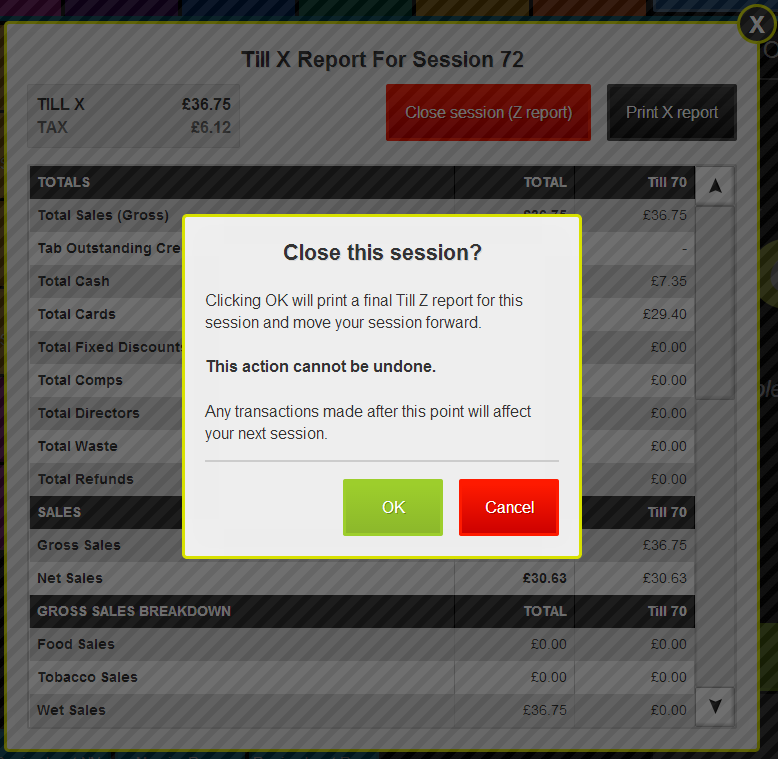 Our X reports now contain full net, tax and gross values for all relevant figures. Find out more about what the figures on your Till Z mean here. We now invite you to formally close your sessions when you’ve finished trading. Doing so will generate a print out of your totals, advance to a clean session, and store all Till Z figures both on your EPoS server and on KOBAS Cloud. This means that very soon you’ll no longer need to enter your EPoS trade figures into KOBAS Cloud when completing your closing tasks. 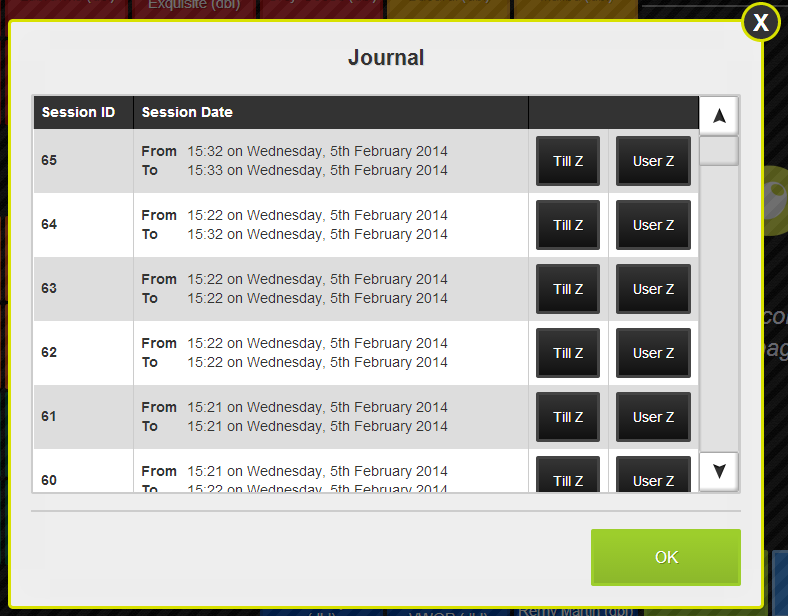 It also provides the immediate benefit of allowing you to review historical Till Z reports on your tills in the new Journal section. 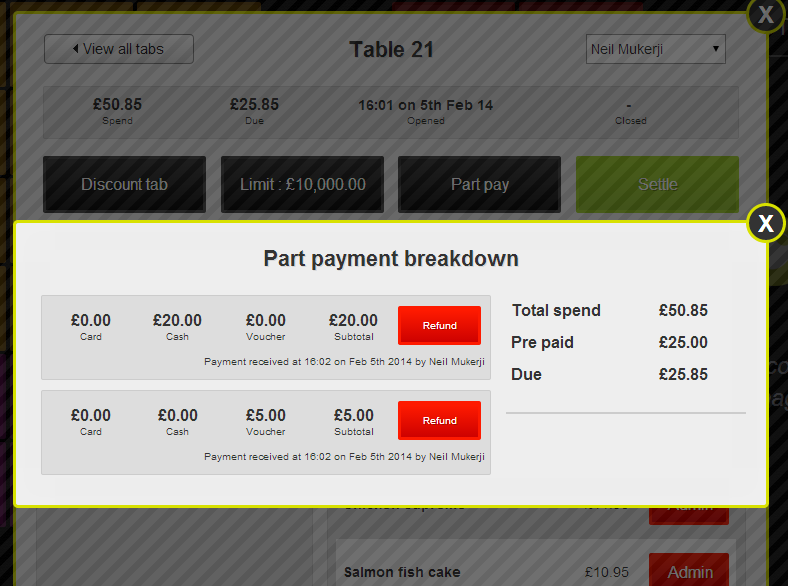 You can now accept part payments against tabs either when the tab is created or at any time while it is open. This is useful if a member of a group wants to leave early and pay their way. 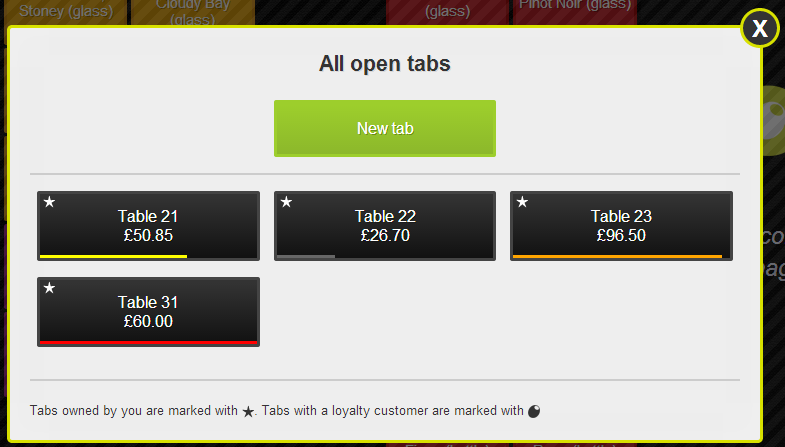 It also means you can set up a tab with an initial payment, and our handy tab limit feature will give an at-a-glance view of how much of that initial payment has been spent with a coloured bar at the bottom of relevant tabs. New refund process (under log special order) to improve cash/card totals. Auto-reload upon software update and sold out changes. Increased the sensitivity of the close button on popup windows. Improvements to work docket printing reliability. Ability to re-print orders from the current session. Automatic database health check and repair.